Out for Dinner…With the Kids! Growing up my family had a tradition of going to a local pizzeria for dinner almost every Friday night. It was a tiny restaurant that had a jukebox in the back and my sister and I loved waiting to hear our weekly selections…our favorites were always Pat Benatar’s Hit Me With Your Best Shot and Love is a Battlefield! The regulars knew us and the waitresses waited to see us each week. The place wasn’t fancy but the memories of this special night out with my family have StUcK with us. Having a family of my own, my husband and I started this same tradition with our own kids. Every Friday night we go to our favorite local restaurant for the BeSt brick oven pizza around. Everyone knows us at Bella Gente and it has become our home away from home on Friday nights. The only problem is, keeping my kids occupied so my husband and I can also enjoy our Friday night. 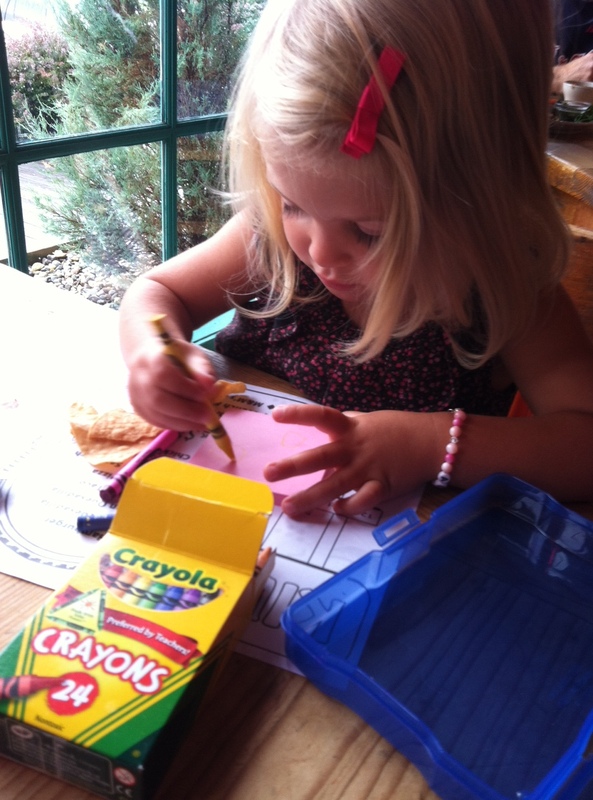 Many restaurants give kids crayons and a menu to color on while you are there eating. The problem is…the crayons are poor quality and break or don’t really work and if your kids are too young to read, then what good are the activities on the menu? I found small plastic containers at my local craft store that I knew would fit a box of Crayola crayons (they are on sale everywhere now for back-to-school). 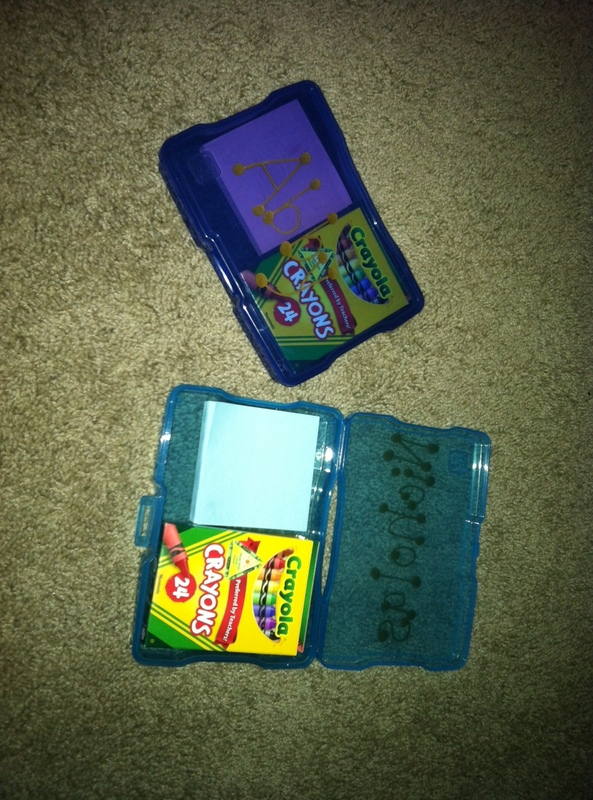 Then I bought a pad of plain post-it notes to put inside the container with the crayons for my kids to color on. Now instead of using broken crayons that don’t really work on a menu they can’t read, they can draw pictures on their sticky notes with whatever colors they want! The boxes that I keep these in fit right in my purse and have made eating out a much more EnJoYaBlE experience for all of us! Awesome idea Robyn! thanks for sharing!